The first 500 copies of the book come with a free bookmark/ Raffle Ticket. 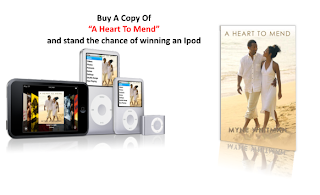 The first prize to be won from the raffle draw will be an Ipod Shuffle. Other prizes include a Thesaurus, Memory Cards, internet modems, and Flash drives. The book presentation will hold at The DSAN center 43 Adegoke Street, Surulere Lagos on Thursday April 22, 2010 by 11am. For more information call the publicist, Ahaoma Kanu 08037487286. Lagos Island Locations coming soon.